Jack and Incher kicked it old school with this vintage style IYH. 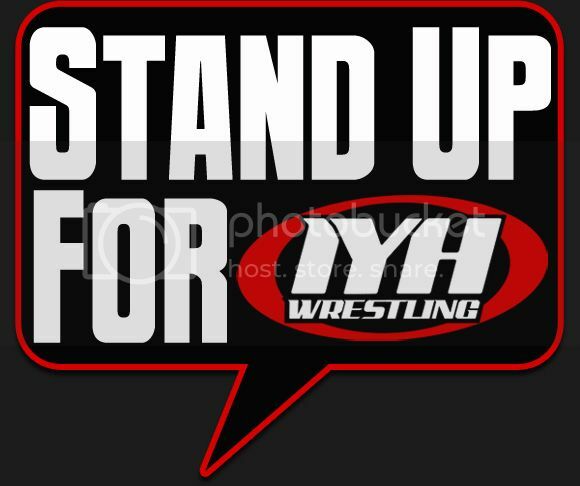 Stand up for IYH and listen now !! 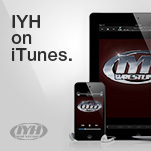 Join IYH on Facebook !! 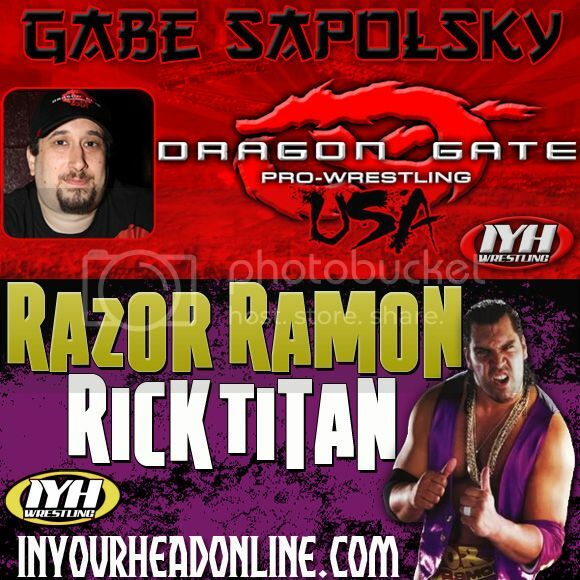 We were then joined by Gabe Sapolsky of Evolve & Dragon Gate USA. - The Bushido Code Of The Warrior iPPV this Friday from Fall River, Ma. The 7th and final inductee into the IYH Fan Hall of Fame 2010 is President Clinton. An IYH exclusive is none other than Mr. President Clinton. A true American icon finds the Headyverse home. Clinton was voted Rookie of the Year in last year's Heady's. He has called in many times into the show standing up for the Headyverse. Mr. Clinton can be seen on the Heady boards and chat room regularly as well. One of the favorite callers throughout the Headyverse finds his home in the hall of the immortals....the IYH Fan Hall of Fame. 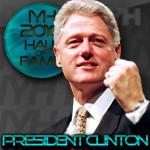 We are proud to welcome President Clinton into the IYH Fan Hall of Fame Class of 2010. The 5th inductee into the IYH Fan Hall of Fame 2010 is FranB33. Where does one begin when trying to convey all this living legend has done for IYH ? From the IYH Crew to the IYH fans in the chat room to the IYH fans on the message board to even IYH fans yet to come....the name FranB33 is uttered throughout the Headyverse as simply iconic. It would be foolish to even try and find the words to describe how much this man has done for IYH and how much he deserves this prestigious seat in the hall of the immortals. 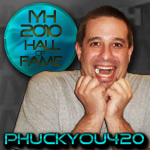 We are proud to welcome FranB33 into the IYH Fan Hall of Fame Class of 2010. 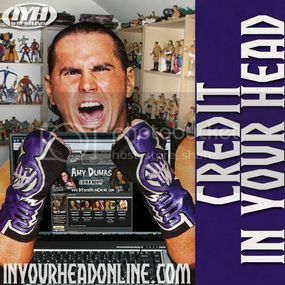 - Thoughts on Amy Dumas "Lita"
The 4th inductee into the IYH Fan Hall of Fame 2010 is Carroll. A true legend in the Headyverse, Carroll aka Carroll Crockett. Carroll can be heard almost weekly on IYH. We've heard his tales of the wall of fame, his famous uncle Jackie Crockett and the Fanfest adventures. Multiple time IYH guest Sid Vicious even remarked once "Carroll, I've heard this ridiculous story before". Carroll was a lot of fun at this year's Fanfest as part of the ever growing Heady gang of Fanfest. Carroll could be seen signing Carroll Crockett Promotion tees all weekend. The first annual Carroll Crockett Cup was created in his honor. Carroll even shared a pizza with Jack and OIB in the Fanfest hotel. It will be a long time before Incher forgets the phrase "boot man". 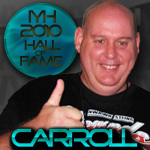 We are proud to welcome Carroll into the IYH Fan Hall of Fame Class of 2010. 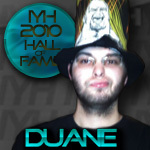 The 3rd inductee into the IYH Fan Hall of Fame 2010 is No1special. No1special has been a loyal IYH fan for a long time. It was many months before Jack knew his name was "No one special" not "number 1 special". But, to all here at the Headyverse he will always be special to us. He has seen his ups and downs, and even has had warnings from the IYH moderators to straighten up. NOS, as the kids call him, can regularly be seen on the IYH boards and in the chat room. NOS was also a loyal follower of the Fever, making an infamous call into a Danovich episode, this was so controversial it had to be edited off of the archive. NOS's grandmother has also made her appearance heard during a very memorable call into IYH. Just like NXT, NOS will always be Wild and Young in the hearts of the Headyverse. 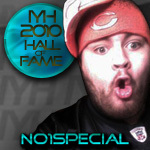 We are proud to welcome No1special into the IYH Fan Hall of Fame Class of 2010. The long-awaited autobiography of Tony Atlas is now available at the Crowbar Press website. 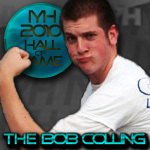 The first inductee into the IYH Fan Hall of Fame 2010 is The Bob Colling. 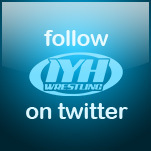 The Bob Colling has helped IYH tremendously over the last year. The best recap man in the business. Bob's IYH recaps can be read all over the internet worldwide. Bob can also be read on his own website where he recaps wrestling shows and writes very interesting columns. Bob can be seen on the IYH message board and chat room often. We are proud to welcome The Bob Colling into the IYH Fan Hall of Fame Class of 2010. - The big reveal of "They"
- Tons more of this vintage edition of IYH !! !